Hello again. It has been a while I know. I just wanted to share some happy news :) Matt and I just became parents to our little boy Maro. All is wonderful and we’re so excited to have him with us after 9 long months! 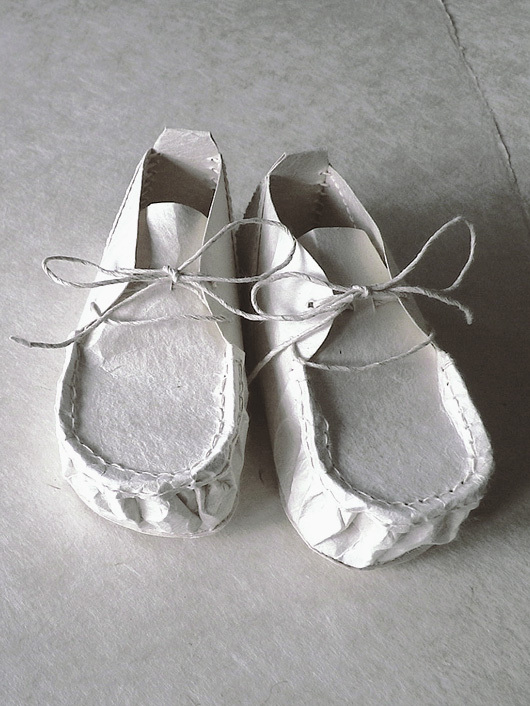 Image: The beautiful baby shoes shown above are made entirely of handmade washi. Even the laces and stitching thread are washi. Via Japan Style.